6 Races in Australia You Have To Run | JustRunLah! Here are 6 Races in Australia you have to run before you can say you’ve seen it all. These races show you a different side of Australia. You see the diverse landscapes and different atmospheres the Land Down Under has to offer. 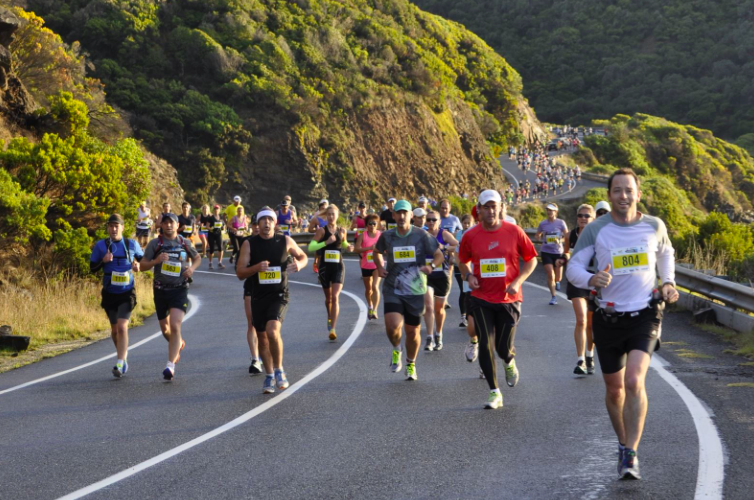 This is Australia’s most scenic marathon. The stunning vistas will take your mind off the challenging course. Although the marathon distance is over distance by 3km, we’re pretty sure you wouldn’t mind running the extra mile for the magnificent views. It brings you along one of the Australia’s best coastal views. The Launceton 10 is arguably Australia’s fastest 10 kilometre run. It may not be scenic, but it certainly attract Australia’s fastest. The nation’s best are here year in year out. Looking to renew your 10km personal best? – this is the race to train for. This is also arguably one of the flattest and fastest marathon courses out there. 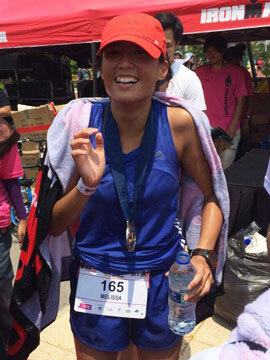 Known as Australia’s favourite holiday marathon, go run a fast one and hit Wet N Wild after. Gold Coast is a whole lot of energy and fun, and drawing upon that energy, it makes the Gold Coast marathon one hell of a fun marathon! Weather is nice, course is flat, energy and supporters are spectacular – what more reason do you need. It’s not every day that marathoners get to take in the stunning views of Uluru (Ayers Rock) and Kata Tjuta (the Olgas) as the kilometres tick by. For most, it is a once in a lifetime experience. Running on red earth is a completely different experience. Although challenging, the views at the top will make it all worthwhile. Are you up for Australia’s sky running challenge? Run your way to the top in this sky running phenomenon. Your lungs will be screaming but as usual, the views will be rewarding. 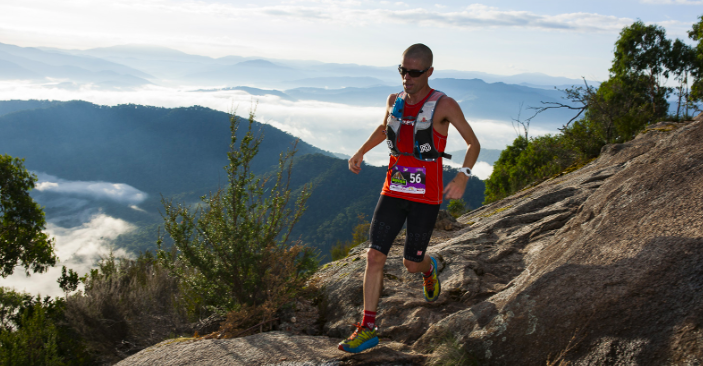 Conquer the skyline in Australia’s very first sky running event. There is a reason why this is a run, not a race. 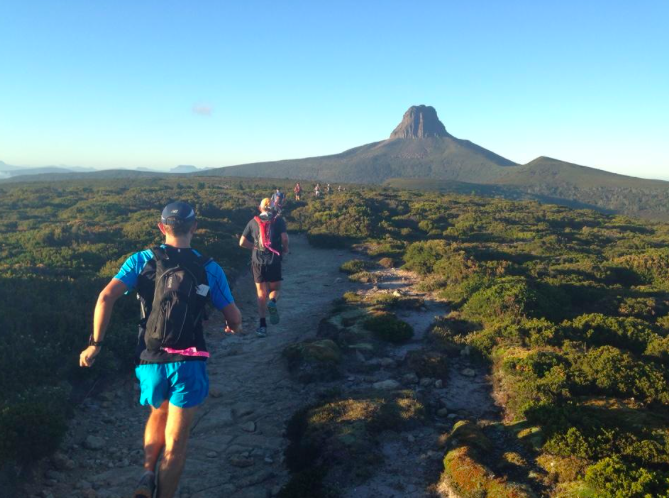 The Cradle Mountain run is one tough run. The harshness of conditions is why mutual help is of significance. The beauty of this run is in transversing the wild alpine areas of Tasmania’s Cradle Mountain and world heritage area. It is a difficult race to tackle, hence the stringent entry requirements. But, if you have the fitness level, this is a race that promises great beauty.